Custom Calligraphy – Page 2 – Calligraphy for Life's Celebrations! 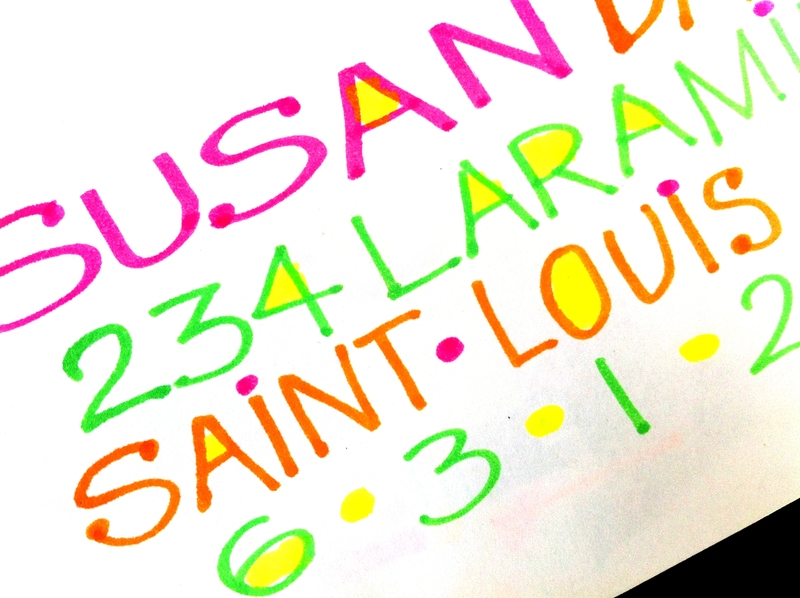 A bit of bright color enlivens an ordinary envelope, doesn’t it? What you were speaks who you are. Guild members were very enthusiastic about Carolyn’s lettering on shirts.